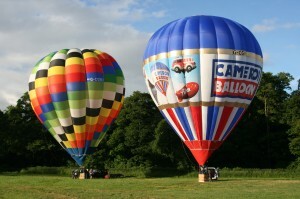 Home › Ballooning › Balloon Meets › Good sports – The Bedale Meet 2013. 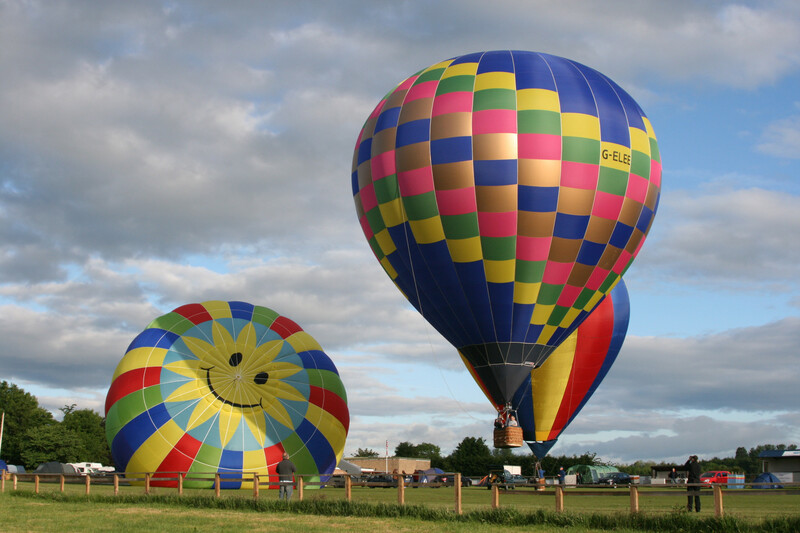 Good sports – The Bedale Meet 2013. Bedale is heralded as the ‘Gateway to the Yorkshire Dales’, and a very fine town it is to especially as its railway station is served by the Wensleydale Railway and the Black Sheep Brewery is just down the road! It is also host to the Bedale Balloon Meet based at the local Bedale Sports Club. Despite a less than attractive forecast the meet this year was a social as ever and they even managed a few flights. Many thanks to organiser Richard Bowater sent us this report along with some piccies. After a difficult year in the region , a group of us decided to go it alone at Bedale for 2013 and run the meet ourselves and as we had organized the meet since its inception in 2005 we knew that we were the right team to do it! Once the news got out that we were holding the event invitations were accepted by around thirty pilots from as far afield as Brighton, Bristol, and Biggar which meant we might have needed the overflow launch field , what a nice problem to have these days what with declining attendances at balloon meets. 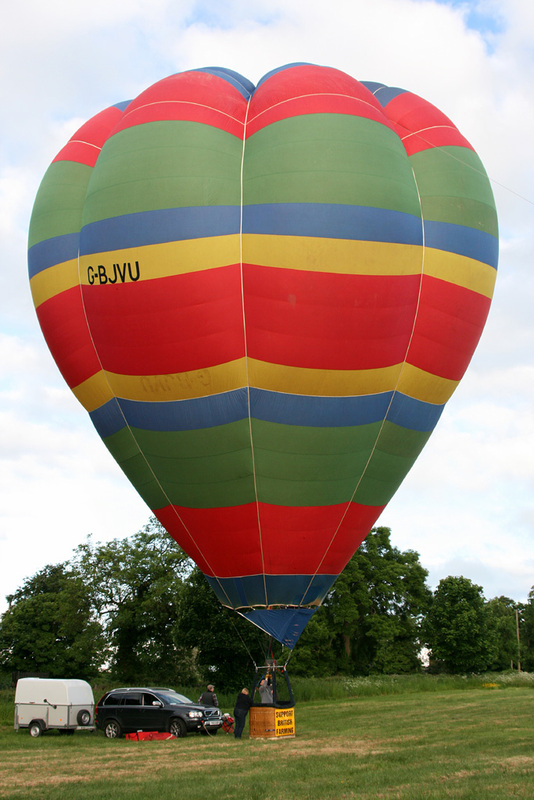 The Bedale Sports Club is run by a great team of local volunteers who make sure we are set up ok, and then leave us to get on with ballooning. They come back in the evening to run the bar which serves the legendary Black Sheep beer from the local brewery at Masham. From the start of the week the weather forecast for the weekend was fairly bleak, meaning some of the pilots from afar decided to stay at home, however, on the Wednesday our met man Mark Stelling predicted a flying slot on the Sunday morning for whoever would listen. But before that, we managed a sheltered tether on the Friday night of a lovely Colt 77A that had not seen the heat of a burner since 1995! 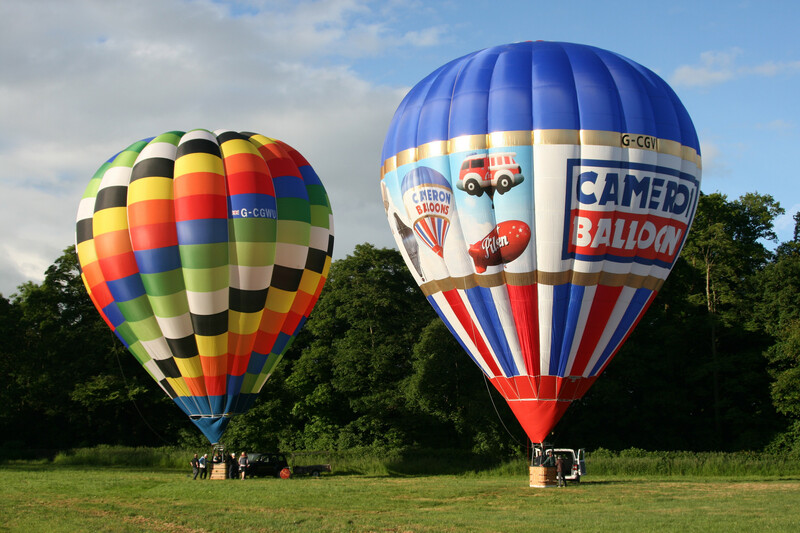 A quick flight was had on Saturday morning by a brave soul, and then as predicted by Mark, eight of the twelve balloons present flew on the Sunday morning. All of them had great flights with no reported problems at all, except for Ann Rich who had major clutch ‘issues’ with her vehicle whilst on the retrieve!. 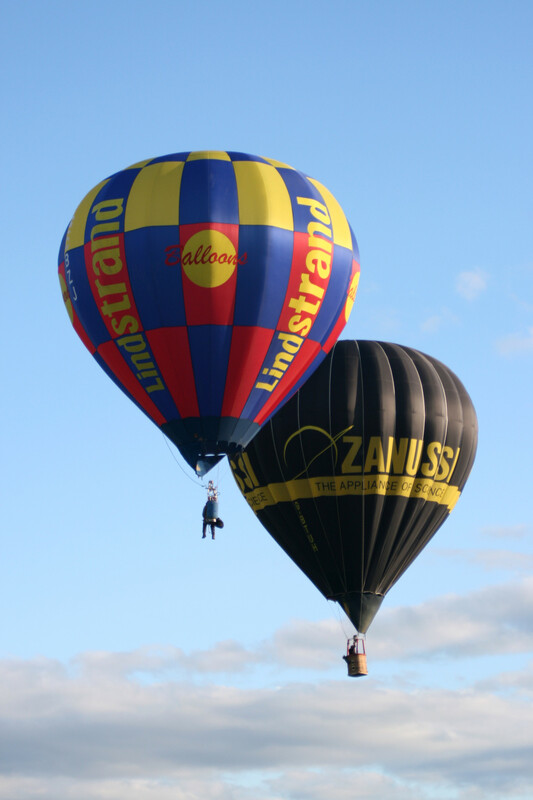 Privatisation definitely worked on this occasion with no complaints or dissention from the assembled throng of balloonists, just relaxed, fun flying with friendly people, which is what our aim was from day one. I would like to thank the team Nicola, Mark Stelling, Paul Wade, Stuart Reid, Phil Traviss, and Graeme Houston for finishing my weekend off with a cracking flight on the Sunday night. We will see you all again, same time, same place next year but with, hopefully, better weather! 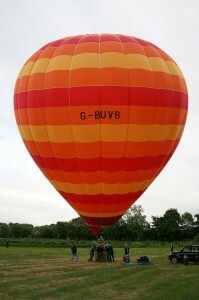 With having so many entries, and having made a profit, we decided to keep a little bit of cash for “next year”, give some to the Bedale Sports Club with the remainder being donated to the Grass Roots Meet at Sackville, who share the same ethics when it comes to ballooning as we do – a very worthy cause. Friday night: Tethered G-BUVB Colt 77A. Saturday morning: G-CGWU ULM S-90 flew. Sunday morning: G-BTUH N-65, CBZJ LBL-25, BVHK V-77, CGVV Z-90, CGWU S-90, TNTN AX6-56, ELEE Z-105, SMIL LBL 105 flew BJVU AX6-56 Tethered. Sunday night: G-OMOO T-150 flew, CEJL Tethered. Five others attended G-FVEL, G-ROXI, G-BVDB, G-ONCB and G-LEGO. G-BJVU The Beckwiths Thunder AX6-56 dating from 1982. CBZJ, a Lindstrand 25A hopper belonging to Hilditch’s from Brighton. G-BUVB is a Thunder & Colt built Colt 77A 1993 and was originally registered to Thomas Regan but has now been registered to Zebebee Balloon Services. G-CGWU Ultramagic S-90 2011 Kevin Graham and G-CGVV the Z-90 Cameron Demonstrator, also built in 2011. G-ELEE Built in 2000 this Cameron Z105 is met-man Mark Stelling’s new balloon.